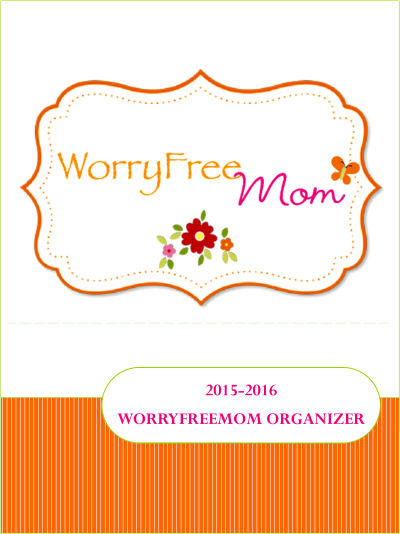 The WorryFreeMom Organizer is the ULTIMATE organizer for the entrepreneurial, home-schooling mom! This organizer will help you to schedule your time effectively, while also giving you the ability to track your business activities, organize your lesson plans, and schedule your priorities at home. Daily Activities: These are the main activities you need to do each day to build your business. Your goal is to earn 8 points each day, rather than work 8 hours. Weekly Calls: Make your list at the beginning of each week so you know exactly who you need to talk to and have their information at your fingertips. Note when you contact them and what the results are. Reflections: Take the time each week to reflect on what went well and what didn’t. Never stop improving!